Big hair, big shoulders, big computers, floppy disks and ash trays – these were all normal features of the 1980s office and thankfully all long gone! Our expectations of our working environments and the way we work has changed dramatically over the last 40 years. Adapting our office buildings to meet today’s requirements need not be so dramatic. Demolishing a building and starting again is one way to go, but creative re-imaging of the space can be a much more cost effective and sustainable approach that not only improves the environment for occupiers but also significantly enhances the building’s commercial value. Childs+Sulzmann Architects have been appointed most recently to work our magic on a very tired 1980s building on the Newport Road in Cardiff. The building is showing its age both internally and externally and rental rates reflected this. The existing building accomodates 600 people in 40,000 ft of space, over 5 floors, divided into 8 units. 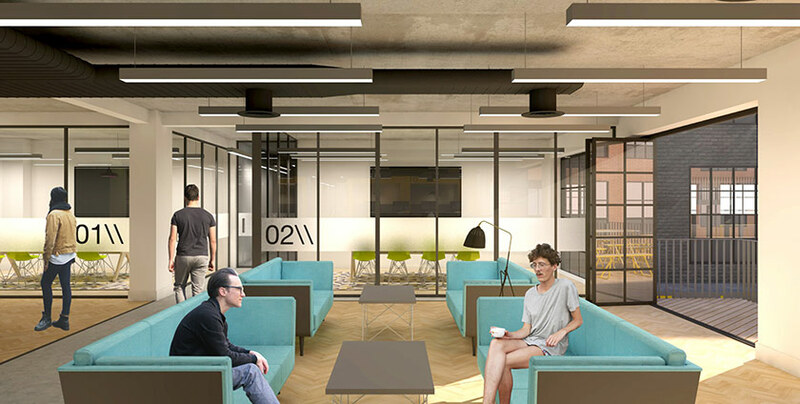 Child+Sulzmann’s approach is to reconfigure the space to create work-space with a contemporary, unifying style that will change the tenant mix and attract emerging entrepreneurs looking for ‘grow-on’ space. 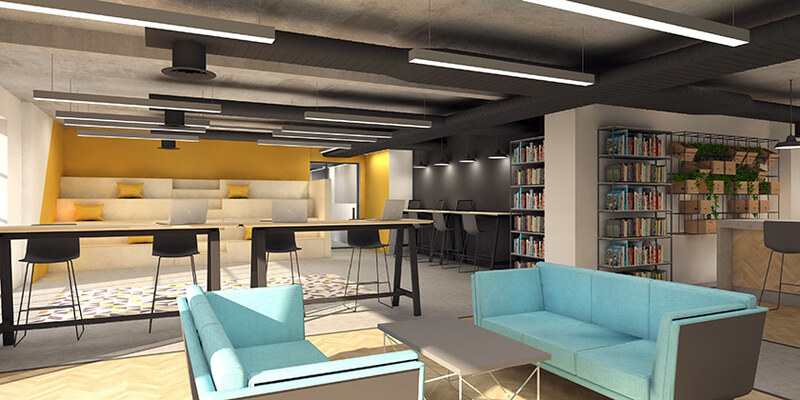 The designs incorporate shared co-working space alongside 20 individual tenant units. The reinvigoration extends to the exterior of the building where the introduction of bold colour and glazing are introduced to the façade to demonstrate the building’s complete renaissance. Childs+Sulzmann have been appointed to provide design services and to manage the planning process on the project.